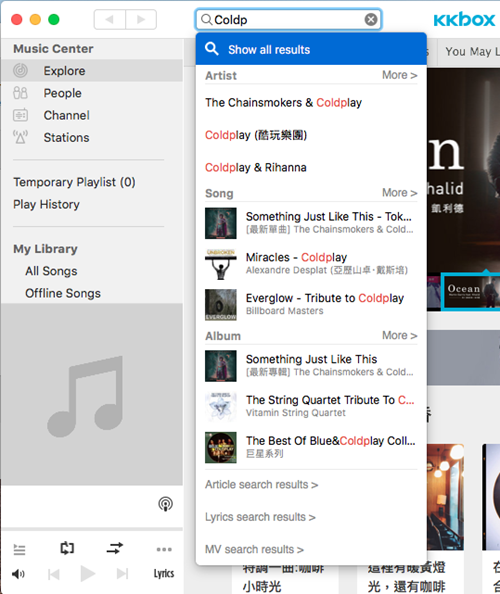 We're always improving KKBOX to make using it as smooth as possible! As part of this, if you're on a Windows PC with KKBOX version 6.2.0.700 or older or on a Mac with version 6.0.36 or older, we'll no longer load suggestions as you type in the search bar. But don't worry, you'll be able to find just what you're looking for once you hit the search button.